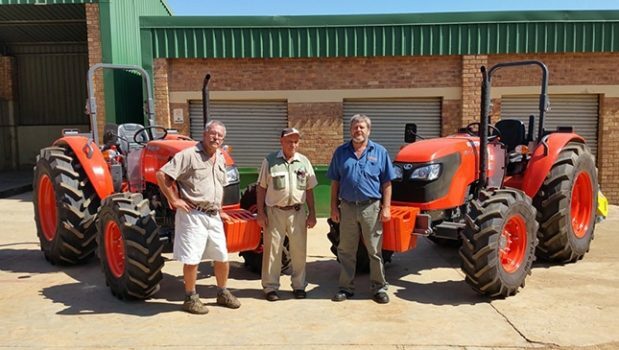 In September 2017, Sierra Citrus took delivery of two Kubota M8540 open-station tractors from Rudamans Nelspruit, a leading supplier of forestry, gardening and agricultural equipment, and also the Nelspruit-based authorised distributor for Smith Power Equipment, the sole importer of the Kubota range of equipment in South Africa. 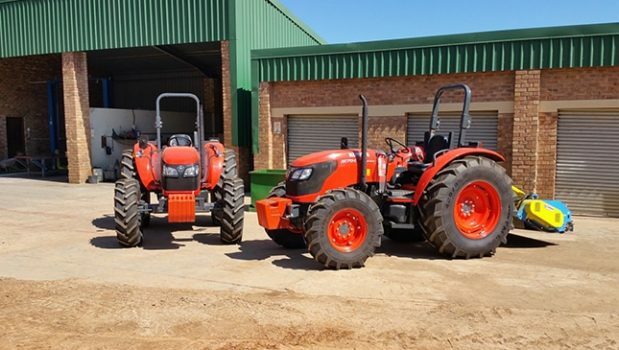 According to Maurice Meyer of Sierra Citrus, when the need to acquire two tractors for spraying and pulling trailers at the orange farm arose, a number of key considerations informed the procurement process. Like any other capital equipment procurement decision, product reliability was among the central areas of attention, but for Sierra Citrus, aftermarket support, as well as a compact, but powerful tractor range, were of principal significance. They often say trust is a difficult thing to attain in the business world – and across an array of industries – word-of-mouth increases the odds that your customers will rely on you for all of their needs. By building trust with their customers, companies are simultaneously creating brand ambassadors that are willing to share products or services with their network. This turned out to be true when nearby farmers recommended Rudamans to Sierra Citrus for its tractor needs. Having worked with a couple of farmers in the area, Rudamans, equipped with a well-trusted brand in Kubota, has gained a very solid reputation. According to Meyer, this was a big driver in Sierra Citrus’ decision to purchase the two Kubota M8540 open-station tractors. To date, the tractors are working beyond Maurice’s expectations, having been deployed for spraying, plowing and heavy trailer applications. Maurice reports that the two units have significantly increased productivity by meeting timeliness of the farm operations and increase work output per unit time. Rudamans, through Harold, sales manager for Kubota, has also lived up to its support reputation, with Meyer very happy with the aftermarket support to date. “We have received great support from Rudamans and are also 100% very happy with the tractors we bought,” says Meyer. Apart from aftermarket support, another key consideration for Sierra Citrus was the need for a tractor specially designed for applications where space is at a premium. The Kubota M8540 open-station tractors rightly ticked this box because of their narrow enough design “to work between the vines and low enough to get under the limbs”. “The Kubota M8540 is engineered specifically for those who work in vineyards, orchards or anywhere else that might require a narrow and compact tractor,” says Harold. With an overall width of just 1 520 with standard tyres, the M8540 is narrow enough for Sierra Citrus’ working conditions. “I am also thrilled with such high power for such a compact tractor,” says Maurice. Powered by the Kubota V3800-DI-TE2, direct injection, water-cooled 4 cycle diesel engine which produces 63,1 kW (84,6 hp) of power, the M8540 tractor punches above its weight. It is equipped with Kubota’s revolutionary centre-direct engine system engine, which offers a rare combination of more power, optimum durability and greater efficiency. “It provides owners with what they need to get the job done quicker, while still minding their budget,” says Harold. The M8540 is a fully spec’d machine that comes with an array of features that speak to high quality, operator comfort and safety. The multiple wet disc clutch provides durability and a long operating life. When attaching implements, the improved inching feature is easy to perform, giving operators the same feel as a traditional mechanical clutch. With versatility in mind, the Live-Independent, 540 rpm PTO with wet-type clutch expands the use of the M-Series to include rear-mounted, PTO-driven implements such as sprayers, rotary tillers, rear-mount mowers and post-hole diggers. For increased safety, the 4-wheel drive works together with the mechanical wet disc brake system to offer safe stops. When traveling in 2WD, and both brakes are applied, 4WD instantly engages for 4-wheel braking power. Meanwhile, Kubota’s exclusive Bi-Speed Turn feature rotates the front wheels at a rate of speed nearly twice that of the rear wheels whenever the front wheels exceed a turning angle of about 30 degrees. “The result is a smoother, tighter turn, allowing the operator to turn into an adjacent crop row on their first attempt. This feature also helps to significantly reduce surface damage. For safety, the Bi-Speed turn feature is automatically cancelled when traveling at higher speeds,” says Harold. For ease of driving, the steering column-mounted hydraulic shuttle shift makes forward and reverse manoeuvres smooth and quick. Clutch-less operation helps boost productivity, especially when operating in narrow orchards where the frequent forward and reverse movements are necessary. An improved inching feature gives the same feel as a half-clutch operation for easier attachments of implements. An LED readout makes viewing vital functions of the tractor clear and easy. Operators can view travel speed, PTO revolution and hour meter information digitally. LED illumination type analogue indicators include a large tachometer, temperature gauge and fuel gauge. A battery warning light, and a 4WD/Bi-speed indicator have also been added to the M-Series. The hand accelerator is located on the right side of the steering column for easy access for the operator. This is complemented by user-friendly levers. All of the operation levers are within easy reach, so the operator doesn’t need to shift their body position or stretch awkwardly to operate the levers. “We have also found that the levers are designed to be moved with little effort, and our operators can work longer with less fatigue and in greater comfort,” concludes Meyer.